This bass was created from scratch, using the hardware and electronics of a basket-case 4005 4-string bass. 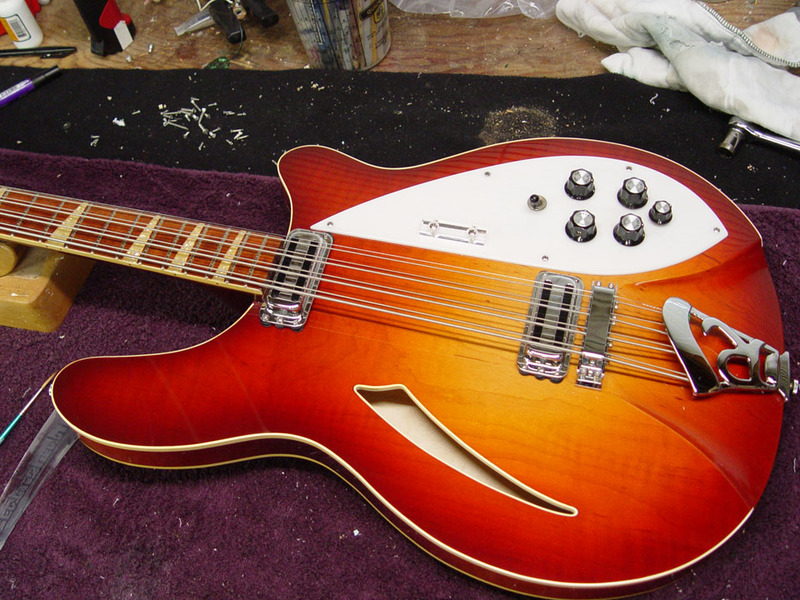 With the permission of RIC, Studio California also used the serial number plate of the original bass on this creation. 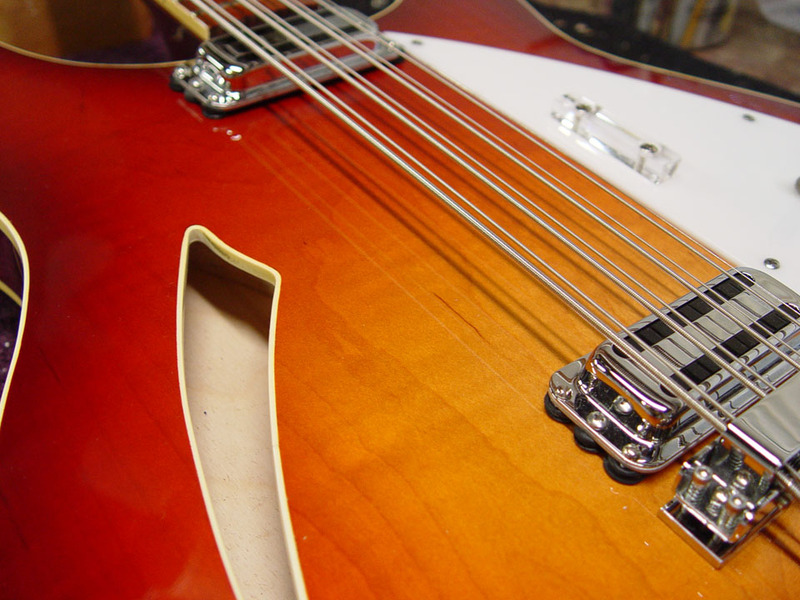 Thus, an original bass was replaced with a new re-creation, and no new numbers were added to those already in existence. 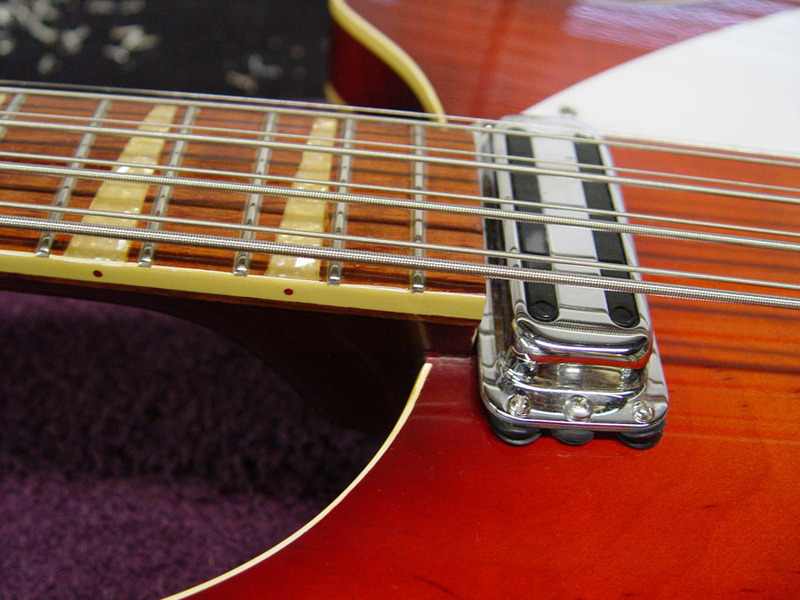 The unusual "potato head" headstock, is actually an elegant engineering solution which provides a properly-shaped platform for the two varieties of tuners that are used. It's the ideal minimum shape, more function than style. However, it does grow on many enthusiasts after awhile. Photos of the completed 4005/8 bass can be seen in the section "3 VERY RARE RESTORED AMBER FIREGLO 4005 BASSES" on the Rickenbacker Bass Guitars page.